The Newport Tower - A Medieval Norse Church? 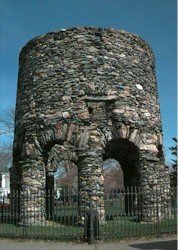 The old stone tower in Newport, RI, USA, has been the subject of many speculations and theories. A good presentation of the tower and the main theories can be found here. If this building had been found in Europe, it would immediately have been cathegorized as a medieval building. There would have been no doubt and no dissent about this. The problem is that it is situated on the wrong shore of the Atlantic. IF it is built by medieval Europeans, our prime suspects must be the Norse. These were the only Europeans that demonstrably set foot on American shores in those days. Forget everything you have heard about Vikings. These people were not Vikings. The Viking age was past, and those who sailed to Vinland and Markland were catholic christians. The question is: If this structure was built by medieval Norse - what was it meant to be? 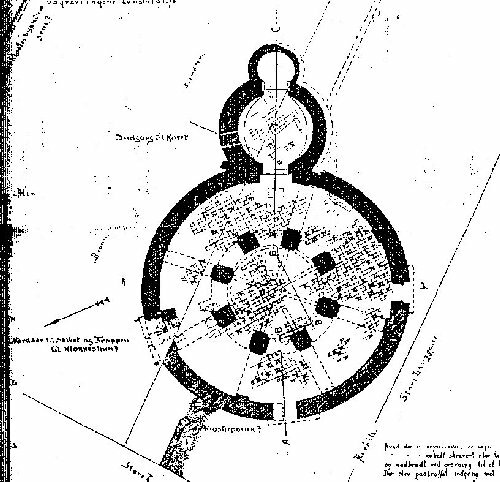 I have no definite answer and no proof - but I would like to point out that the Newport tower is very similar to buildings found in Scandinavia: Medieval Round Churches. Or rather, it is very similar to the central structure of such a church. These peculiar churches may be inspired from what the Norse observed on their journeys across Russia to Byzantium. They are not common in Scandinavia, but several specimens are still standing. In the town of Tønsberg, one of the most important towns of Norway in the middle ages, there are the ruins of one of those round churches. Below are some reconstructions of the Tønsberg round church, based on the ruins and on similar churches still standing other places in Scandinavia. Here is a general view of the church. 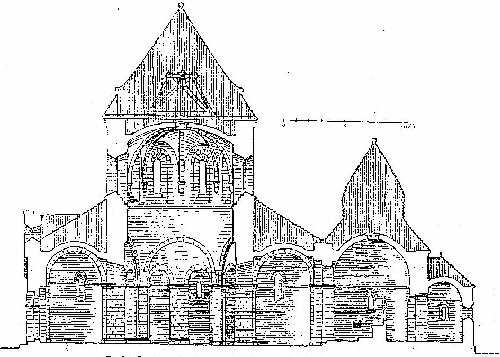 Here is a cut through drawing of the church. Notice the central structure: A tower on 8 pillars. And here is the ground plan. Again, notice the 8 pillars carrying the sentral structure. The church is built around a central tower on 8 pillars. This central structure seems to be very similar to the Newport tower. 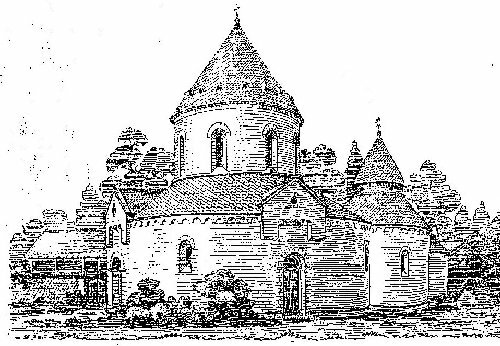 Can the Newport tower be an unfinished Norse round church? Or has there been an outer structure? Of stone? of wood? I have no definite answer to these questions. But the similarity between the Newport tower and the central structure of this kind of church is striking. We know that the Norse built the round church in Tønsberg, Norway. We also know that the Norse sailed to America.